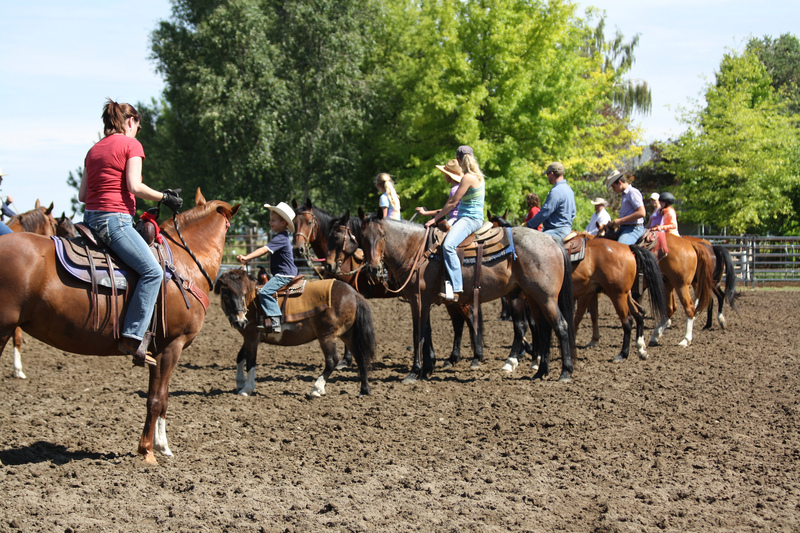 What beautiful weather we were blessed with at White Horse Arena for the first annual Tom Davis Horsemanship Clinic. 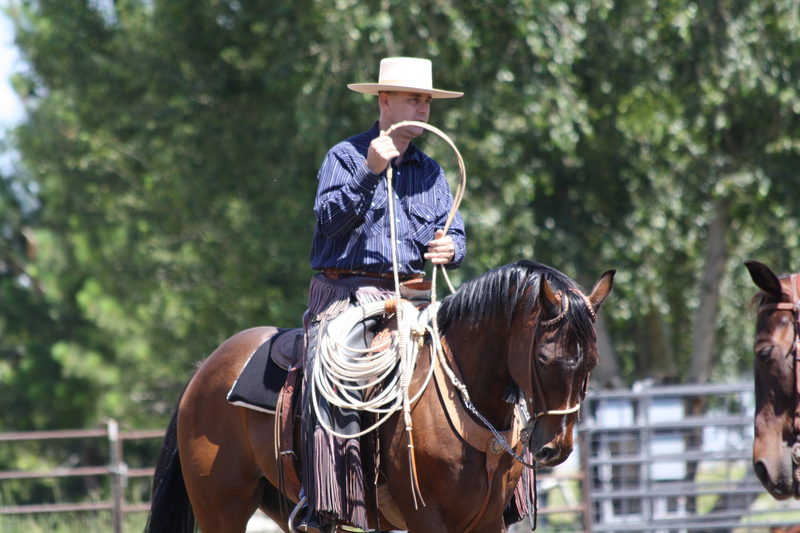 Tom has been working with horses for over 25 years and has been doing clinics for more then 7 years. This was the first clinic in Washington State where Tom spent most of his childhood. Now residing in Texas with his wife Traci and 3 daughters Tom gives horsemanship clinics regularly to groups and private individuals 1 on 1. Tom helps horses and people by building confidence in the rider to help the horse and rider have a better ride and relationship. The White Horse Arena has been a dream of Travis Klingemans (a lifetime friend of Traci’s) for many years and has often talked to Tom and Traci of this dream. It was great to kick off the first of many events to come in the arena with a Horsemanship Clinic that had 15 riders that all showed great improvement throughout the day with their horses. The white horse arena has a peaceful setting and easy access. Located in Othello, WA right off Hwy 17. The arena is lined with beautiful trees and great landscape. Plenty of parking for your horsey events. Look them up on facebook and White Horse Arena website for more info. Travis and Jennifer will be glad to visit with you. You can also join their mailing list as well and keep up to date on upcoming events. Here is the current update. 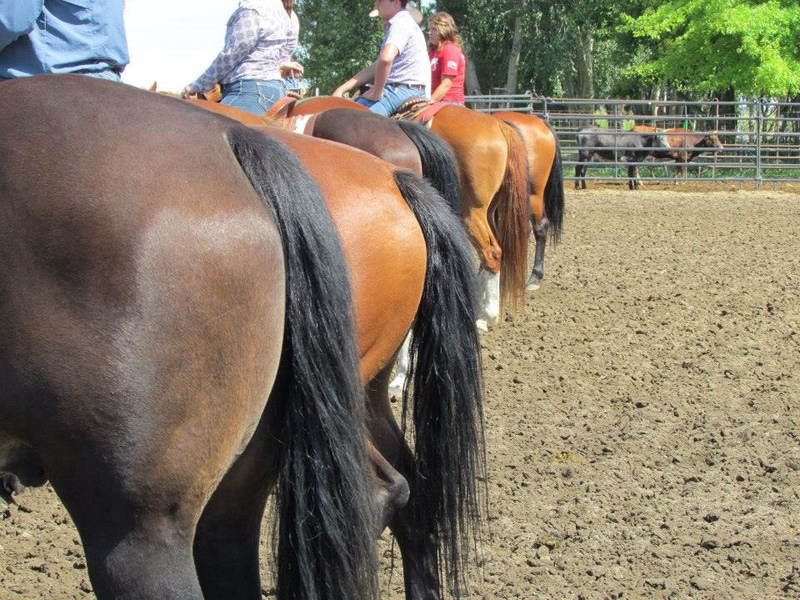 Be sure to mark down June 2014 for the next Tom Davis Horsemanship clinic and bring your horse, and ride with Tom. If you are wanting to book a clinic in your area contact Traci Davis at 254-433-0806 or [email protected] to get it scheduled.